The boys love playing electronic games and one of the ones they like is Sonic. 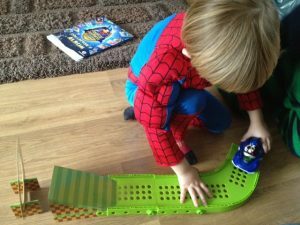 I’m not overly keen of them playing electronic games too much so I feel the Meccano Sonic the Hedgehog is a good compromise. They get to play with their friend Sonic, they get to build and use their imagination. Me and my oldest Lucas who is almost 6 built this together, we had lots of fun. 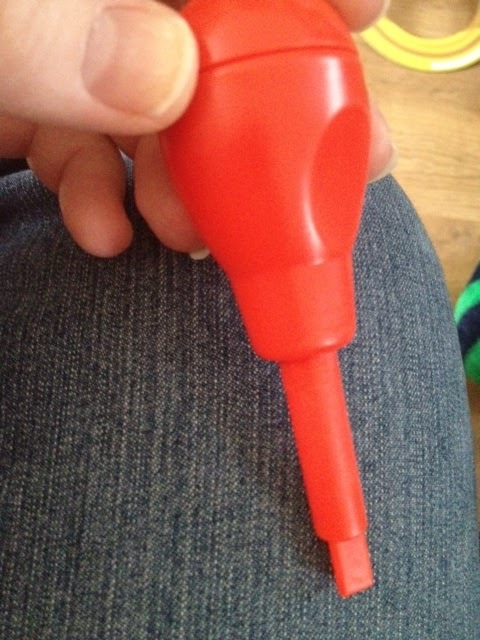 The screwdriver is kid friendly and easy to use. He couldn’t really read the instructions so I helped with that bit and he did the building. 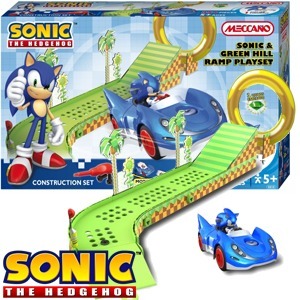 There are 35 pieces in this pack which make up the stunt ramp and the car with Sonic himself. Sonic goes onto the ramp, you then pull back the car releasing it and he jumps through the hoop. The ramp itself I found very unstable and it kept falling down. The first part is made of plastic and is great but the last part the ramp bit up to the hoop and the hoop itself is made of thick cardboard. Not all that stable. The boys had lots of fun with this, but mainly with the cars rather than the ramp itself. They loved the car and play with it a lot and the little Sonic character. I am not sure I will be buying any further sets for this until I’ve seen how they are made. Don’t get me wrong, we had lots of fun building this and playing, it’s the ramp and ring that are disappointing. However, it’s the car they enjoy the most. We still have many other Meccano sets and I will still continue to buy these.